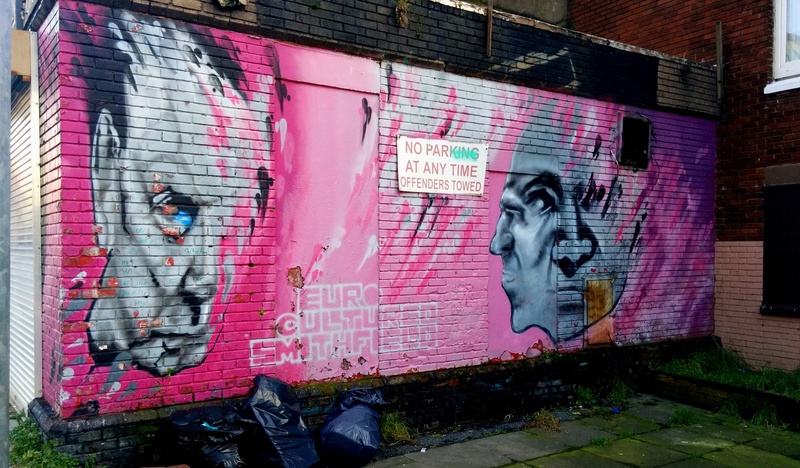 One of the nice things about Dublin is its street art. Early in the morning Jack and I went dancing around streets to find Henrietta Street, one of the oldest streets of Dublin and in fact the earliest Georgian street in Dublin. Popular with filmmakers, the street is full of a number of coloured front doors, as seen below. 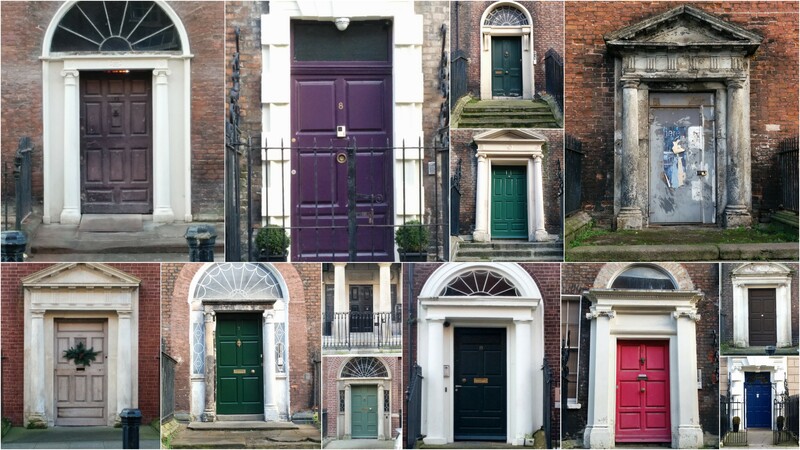 The doors of Henrietta Street. 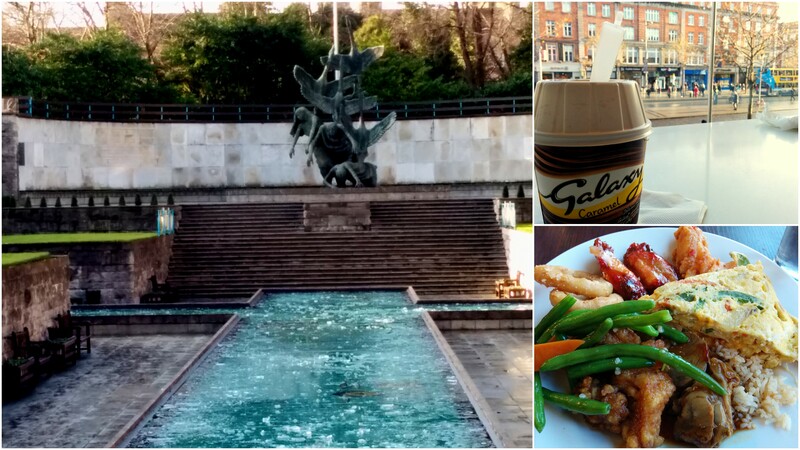 We continued on to find the Dublin Writers’ Museum, but seeing as 1) there was a fee to go in and 2) neither Jack nor I knew much about writers in Dublin, we opted to go into the Dublin City Gallery and appreciate some Irish art instead. Whooo, art. 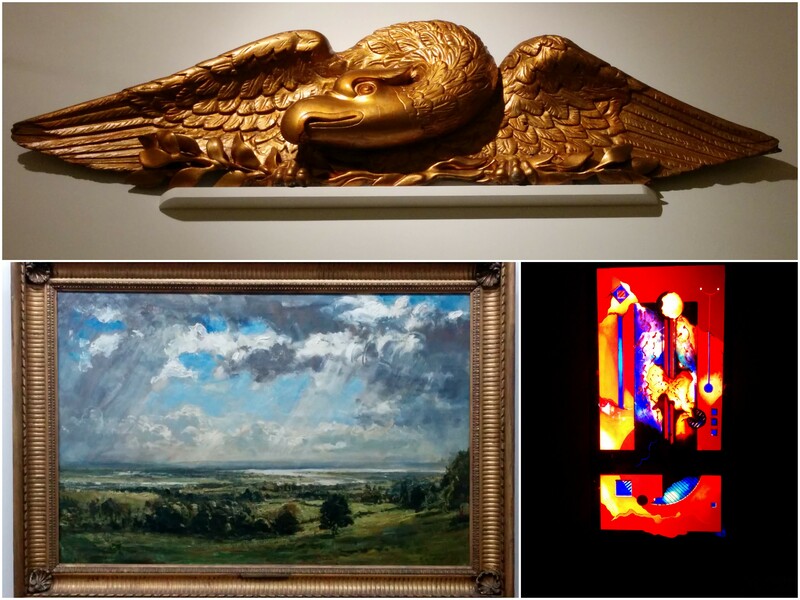 From top clockwise: a golden stylized phoenix, a stained glass window and a gorgeous oil landscape. From there we came across a chilled fountain, snacked on a Galaxy caramel (like Caramilk in Canada) McFlurry in a nearby McDonald’s and had some bad Chinese buffet. 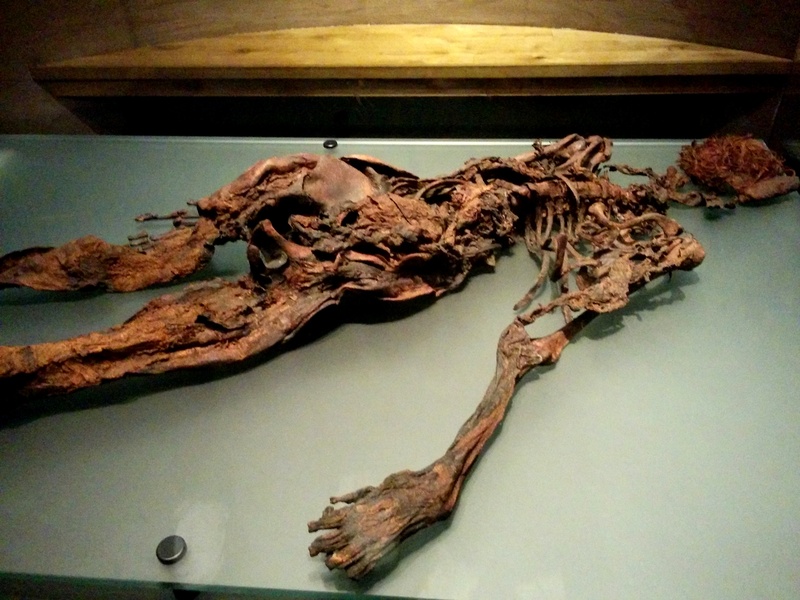 The National Museum of Ireland – Archaeology proved quite the treat when we visited. Not only was the foyer stunning in itself, but the pieces showcased were gorgeous examples of Celtic workmanship. Click on the pictures for a bit more information. 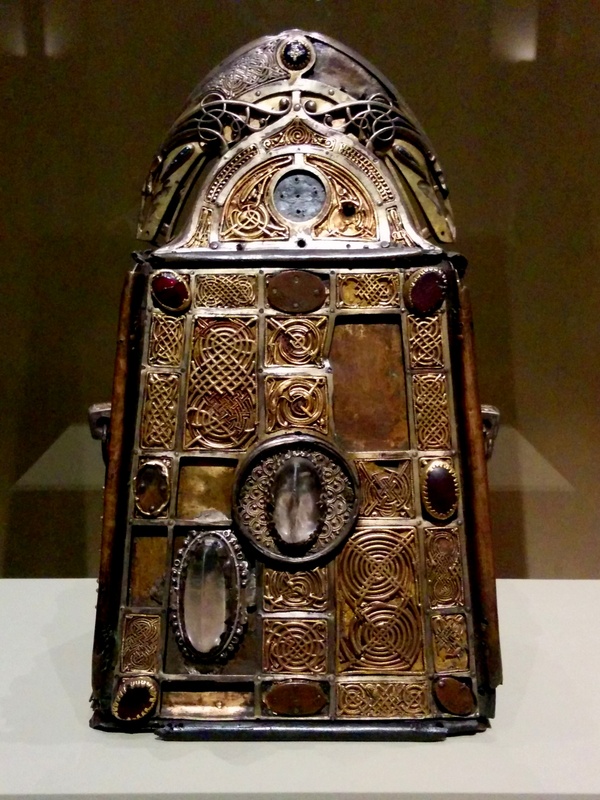 Metalwork dating from Viking Ireland in 11th and 12th century; look at the intricacy of those engravings! The Cross of Cong, an ornament used in procession and supposedly designed to hold a piece of the actual cross on which Jesus was crucified. 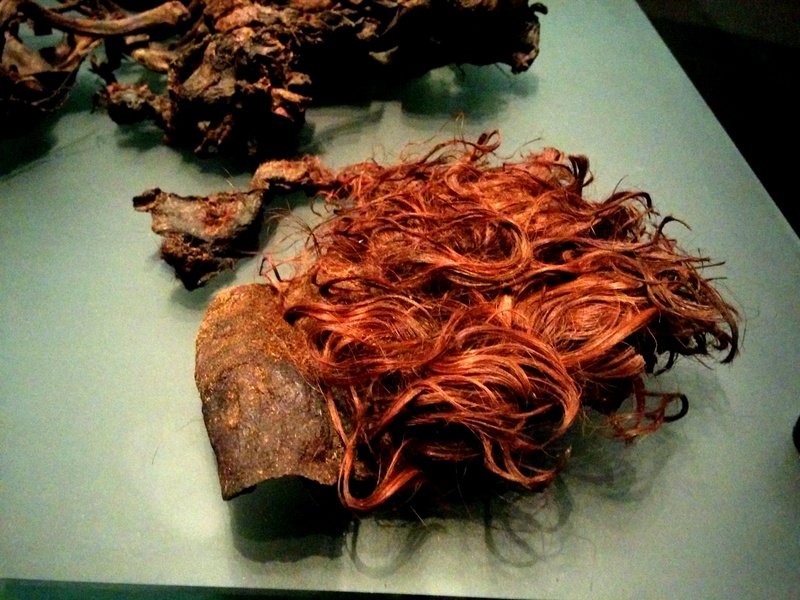 The Tara Brooch, dating from about 700 AD. Made in many small parts, the brooch consists of precious metals and semiprecious stones. Jeweled artifacts and pins there were, but also people preserved in bogs, which I found both fascinating and disturbing at the same time. Hair just doesn’t break down, does it? 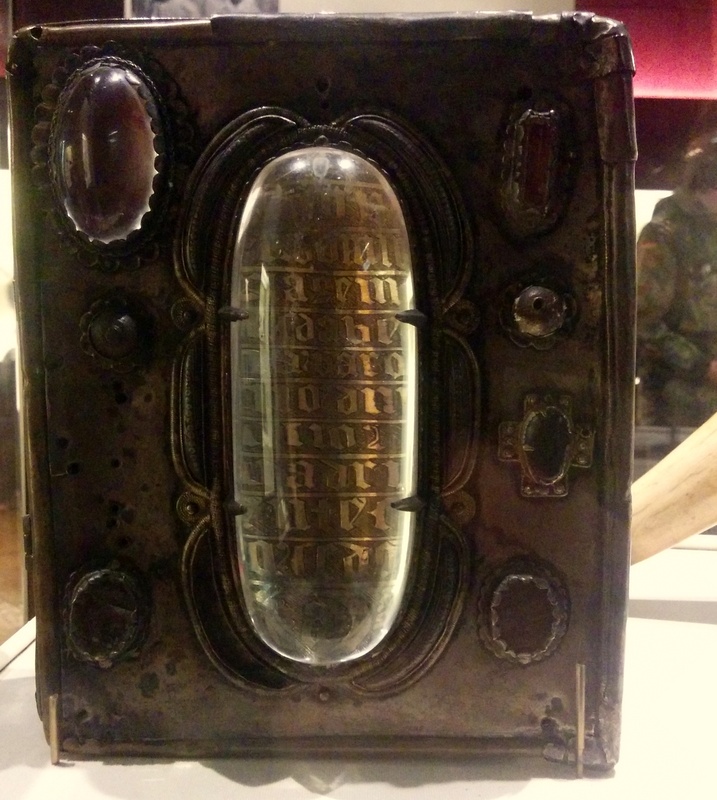 Another type of artifact I found interesting were the heavily ornamented gramaryes, or grimoires, presented. Magic books, or sometimes religious texts, were held in decorated cases inlaid with semi-precious stones and covered with engravings. 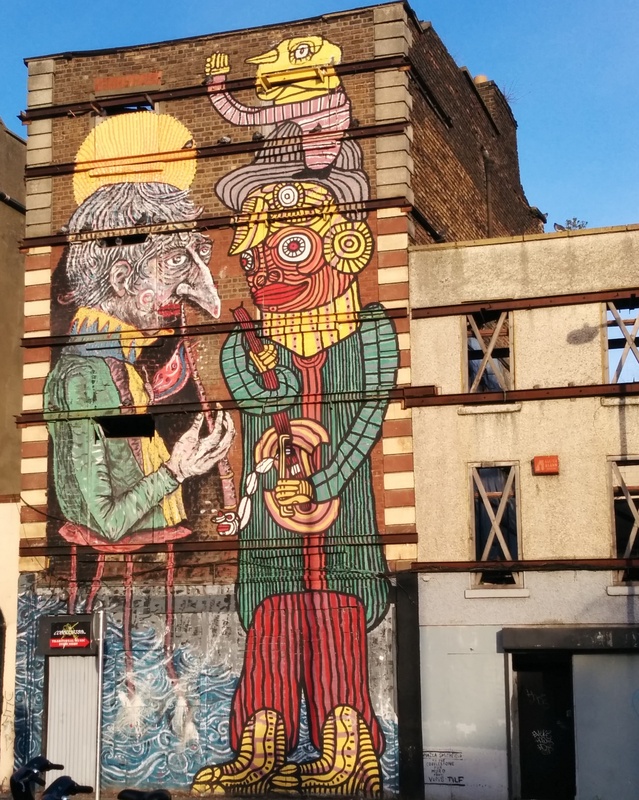 If you have to choose just one museum to visit in Dublin, do choose this one, if only to bask in the enchantment so skilfully created by Celtic art.